Brian Keith Kirkland died June 23, 2018 in Rosedale at the age of 35 years 11 months 3 days. No memorial services are scheduled at this time. Viewing hours are from 8AM to 5PM on Wednesday, June 27, 2018, entrusted to the care of Wadley’s Funeral Service. Brian was born July 20, 1982 in Norman, Oklahoma to Keith and Janet (Jennings) Kirkland. He was raised in the Wayne area, graduating in 2001. He and Jessica Morris have been together for the last 18 years, and have a 10 year old daughter. Brian worked as a printer for Cable Printing in Lindsay. 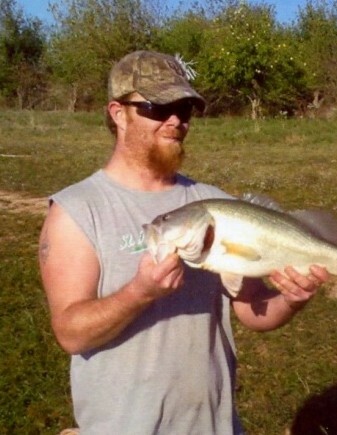 He enjoyed hunting, fishing, and riding motorcycles. Brian also enjoyed drinking sweet tea in the shop with his friends, playing horseshoes, shooting his bow and looking for arrows. His favorite thing to do was rocking his daughter, Ashlyn, to sleep in his rocking chair. He was a Momma’s boy and loved going out on the truck with his dad. Brian is survived by his parents, Keith and Janet Kirkland; spouse, Jessica Morris; daughter, Ashlyn; his sisters, Teresa Kirkland, and Carrie Fielder and husband, Curtis; nieces and nephews; Erica Mills and husband, Robby, Rickey Deaton, Carly Pigg, Dylan Kirkland, Dustin Kirkland; great nephews, Jase Mills, Charlie Mills, Kasynn Deaton, Reagan Deaton; and numerous other relatives and friends.